North Dakota is booming with wells in the Bakken, but the increase in gas flaring is bringing discussions of stricter regulations. The debate has been so severe in fact that 10 class action lawsuits have been filed against oil companies for lost royalties. In an interview with NBC News, Ryan Salmon, manager of Ceres oil and gas program, said “Investors want companies to have a more aggressive reaction to flaring and disclose clear steps to fix the problem. Companies tend to burn the lesser grade of oil instead of using more sufficient pipelines. 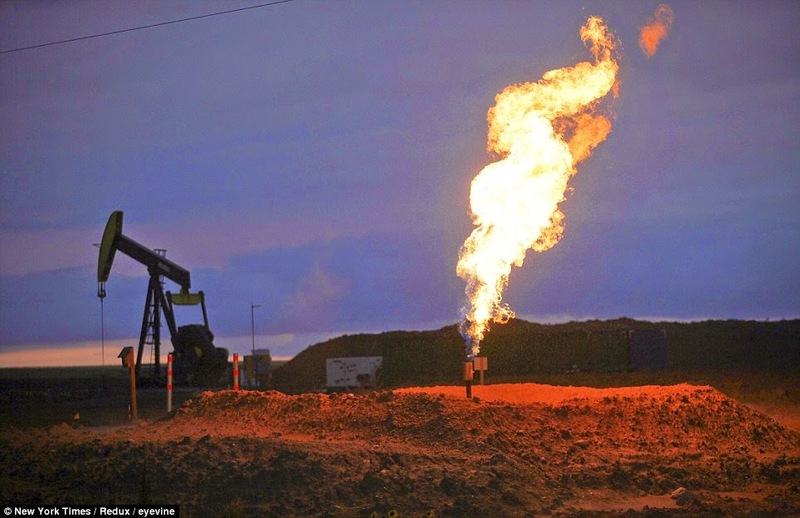 It is estimated that $100 million per month of flare gas is wasted in North Dakota alone. Because of this many land owners who have leased their land believe they are losing money. Not only is there the fear of not getting paid what is due, there are health concerns regarding the release of chemicals into the air. While it is not as harmful as the release of natural gas, it still releases carbon dioxide that affects the climate. There have been discussions on ways to reduce the amount of gas being flared. Energy companies like Hess Corp. and Alliance Pipeline have started building pipelines to connect with wells. There are also plans to create at management team to control flaring.